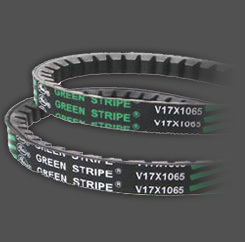 This range of automotive V-Belts was specially developed for use in small diesel-engine applications for Japanese makes such as Toyota, Nissan and Mazda which are highly popular and widely available in the Asian region. 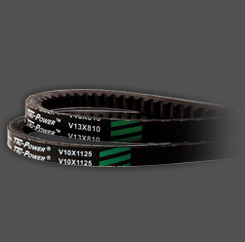 Each durable, high- quality Wide Angle Tru-Power™ V-Belt is constructed from high modulus, thermally active polyester tensile cords that exhibit extremely low stretch properties. 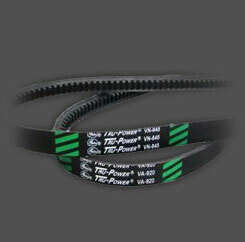 This increases the life span of the belt, and reduces maintenance time, which translates to greater cost savings. High precision forming and grinding. Suitable for small diameter pulley applications.